Moose Toys and Clarks shoes have collaborated on a new school shoes line, after the success of the 2017 Shopkins x Clarks range. The new 'Kraken' leather school shoes contain – embedded in the heel – an exclusive Treasure X toy and come in a gold 'treasure' box, while Treasure X branding can also be seen on the sole. The Shopkins line has also be revamped for the new school year, with kids able to add some Shopkins style to their school uniform. “After the incredible success of the Clarks x Shopkins school shoe in 2017, fashionistas will be able to “glam up” their school uniform with the new Clarks x Shopkins shoe,” Clarks said in a statement. Senior licensing manager at Moose Toys, Nicole Hardiman, said that Moose was excited to build on the existing relationship with Clarks to create a new product offering. 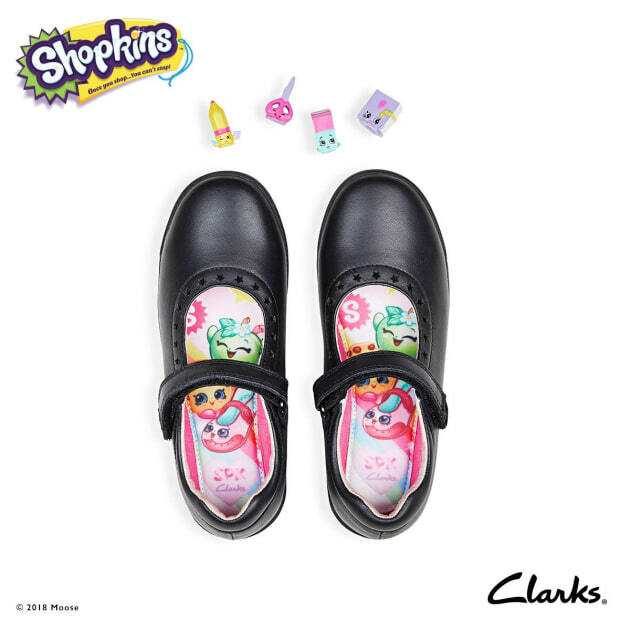 "After the success of the Clarks x Shopkins school shoe, Clarks was eager to expand its product offering and create a new, fun and innovative self-fastening school shoe, perfect for those starting school. "Moose was excited to build upon the successful partnership and work with Clarks on creating something new for back-to-school 2019! "The Bluebell Shopkins school shoe is new for 2019 [too]. Bluebell features glitter Shopkins and a new bright and colourful innersole. "We’ve also slightly modified the construction of the shoe to ensure maximum comfort and durability," she said. The shoes retail for $139.99 at Clarks and Shoes & Sox retail and online stores throughout Australia.